Welcome to Oceanside Real Estate. Oceanside, California is a very diverse and a large beach town this is home to over 160,000 residents. The city spans over a total of 4 different zip codes and is notably known for bordering the Marine Military base known as Camp Pendleton. Many service men and women call Oceanside homes as well as many who love the old town flare of the beach community while also enjoying many of the newer communities that have been built in the last 10 years. Some of the best real estate values can be found in Oceanside as single family homes can still be purchased in the $300,000 to $400,000 range. No matter where you live you can always get to the beach in under 20 minutes as the main 76 and 78 freeways take you directly to the ocean. Many of the communities are located between these two freeways and offer a variety of ocean view and gated communities. Below are the current Brand New Listings in the last 7 days. Buyers looking for the best deals often find well priced homes selling in the first week of being on the market. For those looking for distressed beach properties you will find a very large inventory in Oceanside. 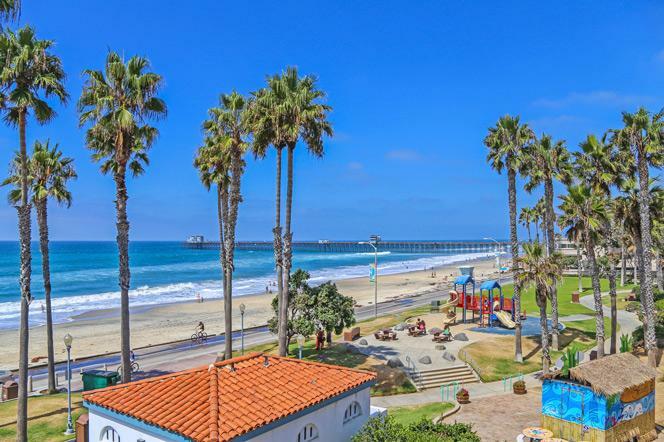 Unlike other beach towns that have very low inventory of bank owned foreclosure and short sale properties, Oceanside still has a large supply for savvy home buyers and real estate investors. Our goal is to give you a comprehensive guide to the city and all the communities that are located here. Please browse our site and contact us with any questions, we are here to help you! For additional information on the Oceanside Real Estate market please contact any of our Oceanside Real Estate agents today at 760-710-2856 for detailed information on Oceanside Homes For Sale.